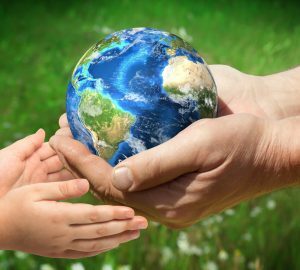 We all have our fair share in loving Ubud. Temple hopping, boutique shopping, waterfall chasing, and even to breathe in the beautiful scenery surrounded by rice paddies. And there’s also its dining scene that continues to evolve. 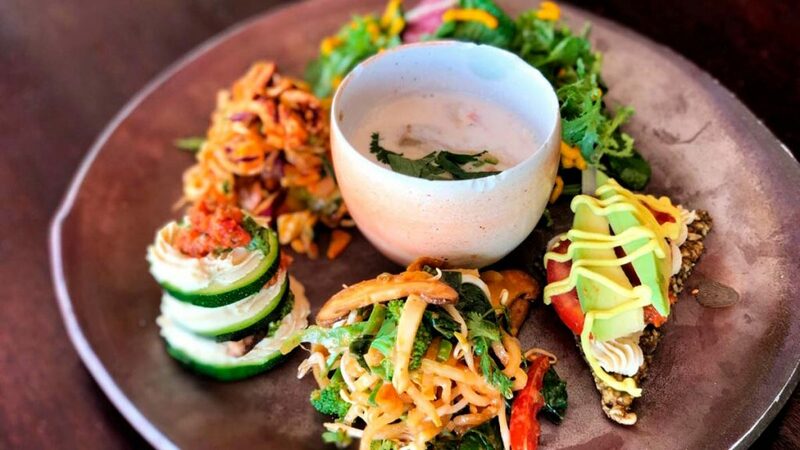 The food at Moksa is all about the freshness and flavour of everything plant-based. Its casual dining ambiance allows you to relax, devour in all the “food that loves you back.” whilst overlooking Moksa’a very own permaculture garden. Our faves: Raw coconut chocolate panna cotta, vegan kale salad, and… super anti aging smoothie. The unstoppable Chris Salans did not stop at the success of Mozaic Bali. 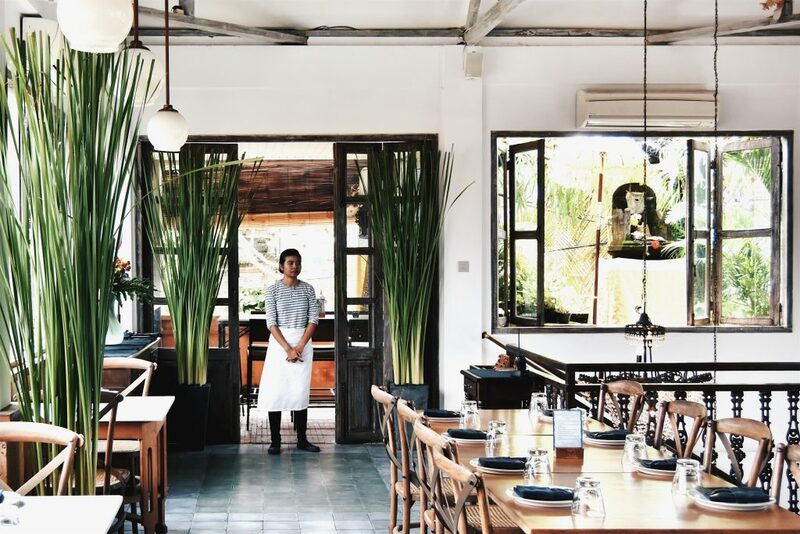 SPICE is his all-day gastrobar that has become a go-to fave in Ubud. 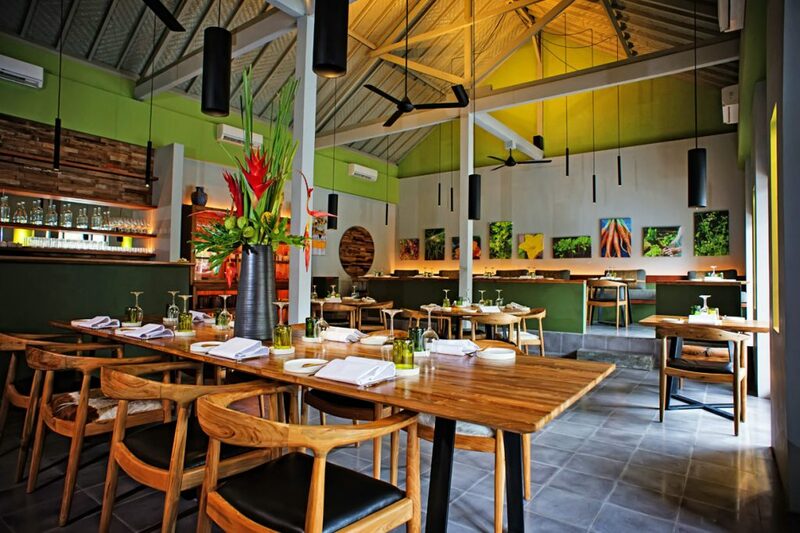 The cuisine at SPICE brilliantly fuses Indonesian ingredients and flavours with bistro-style Western bites, using only sustainable local fresh produc. eEverything here is dished up in a vibrant environment carries Salan’s signature touch. Our favourite spot is the bar and our favourite dish is the Pan Seared Barramundi Fillet. 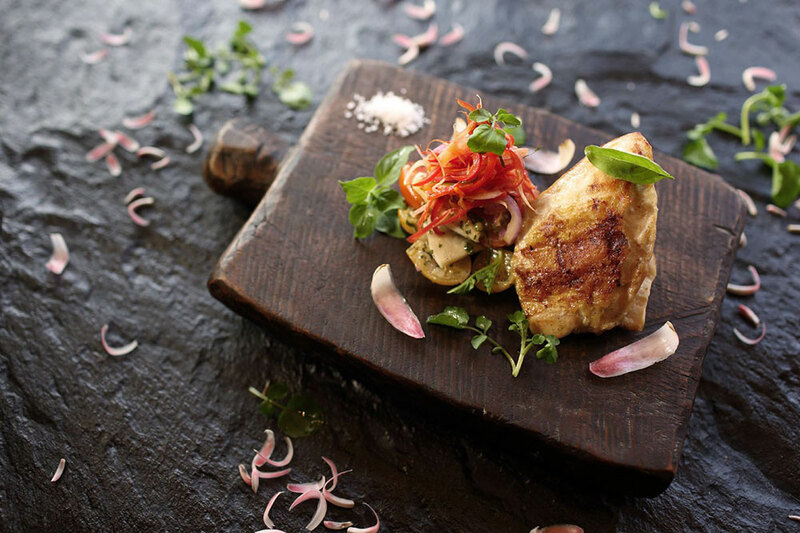 Locavore’s guests can anticipate an unforgettable culinary adventure. Led by classically trained chefs Ray and Eelke, the passionate and dedicated kitchen team create unique, contemporary European fare from the finest of locally sourced seasonal ingredients. Artfully presented, meticulously prepared and utterly delicious, the cuisine of Locavore promises an exhilarating fine dining experience. But make sure to book waaaayy ahead as this pace is eyed by many! Hujan Locale| Jl Sri Wedari No. 5, Ubud| Call: +62 361 849 3092. 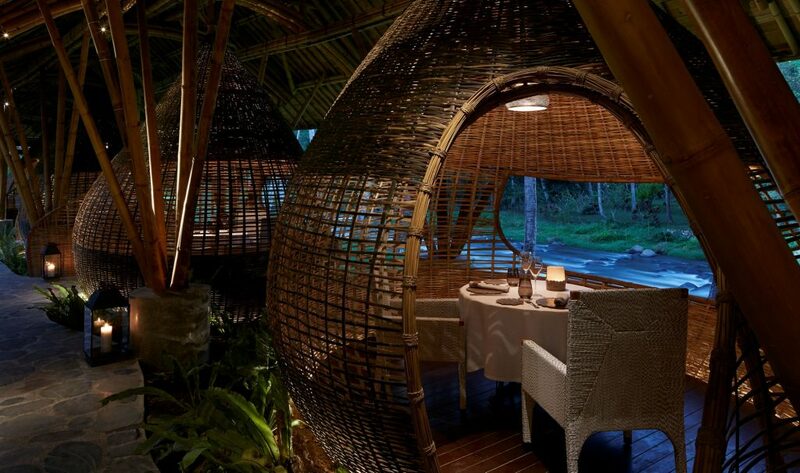 Perched between the sacred Ayung River and lush tropical ponds and gardens, Fivelements award-winning Sakti Dining Room features a fine dining, eco-luxurious setting. 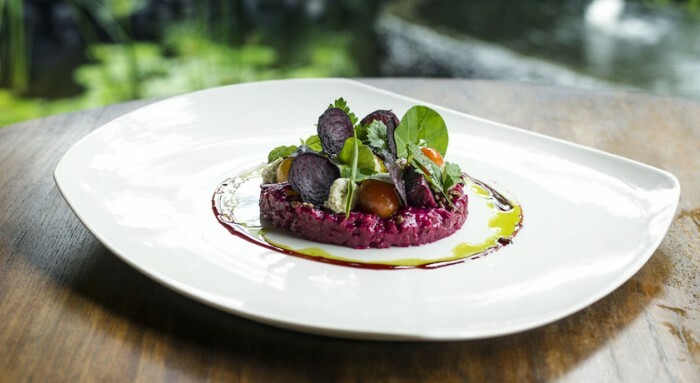 Sakti Dining Room menu is all about plant-based, raw vegan living foods that are masterfully crafted into some of the most stunning dishes . Their objective is to let mother nature’s gifts truly shine in different tastes, textures, vibrant colours and pure flavours . Best way to experience this place is to opt for its Chefs Specialty Tasting Menu. In Bali, farmers store their annual rice harvest in kubu, or bamboo huts. 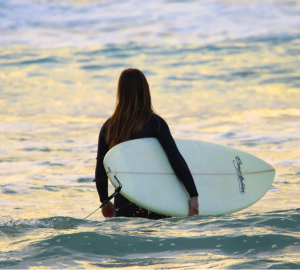 That culture, lifestyle, traditional design, and connection to the land inspired the experience at Kubu. The award-winning restaurant focuses on Mediterranean-European cuisine prepared with Bali-sourced ingredients, including the signature six- to eight-course degustation menus. The space has a romantic air with the Ayung River flowing alongside and private dining cocoons for intimate meals and special occasions. 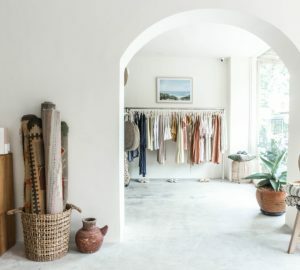 Kemiri (meaning ‘candlenut’ in Bahasa) is a restaurant at COMO Uma Ubud, serving breakfast and can be used as venue for special occasion. 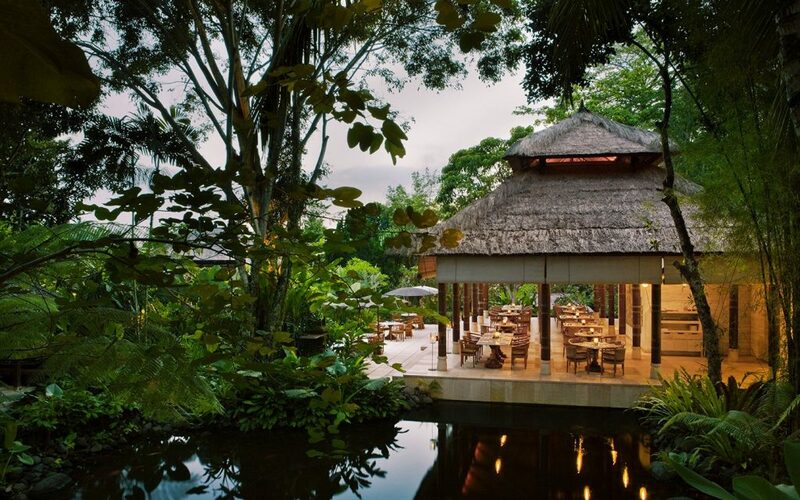 Guests will dine in a beautiful open-air space with alang-alang roofing beside a waterfall-fed pond. At night, candlelight contributes to an idyllic and romantic ambience. Kemiri menus combine local produce with the techniques of classic Indonesian cuisine, with many innovative combinations highlighting the renowned signature healthy COMO Shambhala Cuisine.